This workshop is designed for students who are already reasonably proficient at spinning. During the day we will cover the following areas of spinning and designing yarn and take your spinning prowess to a new level. 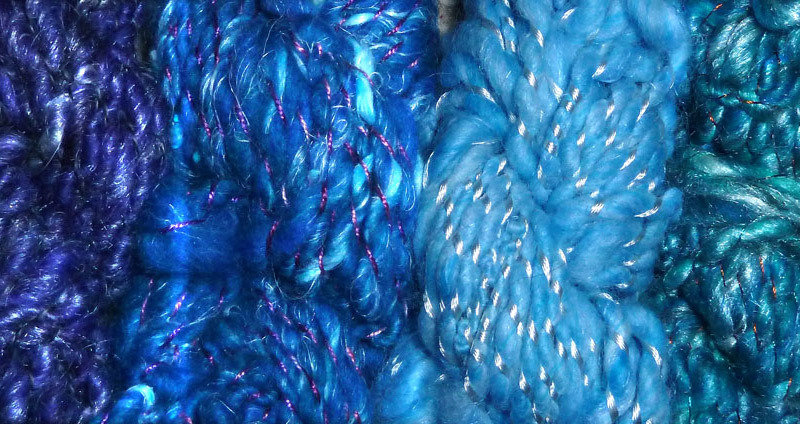 how to design a yarn for any project – from 5 ply to a lopi style 14 ply singles yarn. how to spin specialty yarns such as boucle, slub, wrap, and plying of different thickness and content. spinning yarn with different amounts of twist and thickness. Extra fibre is available for sale on the day if you would like some. You will take home several samples of exotic yarn you have spun.